It’s nice to consider a dentist with a sense of humor. Sometimes dentists only seem funny when nitrous oxide is involved. 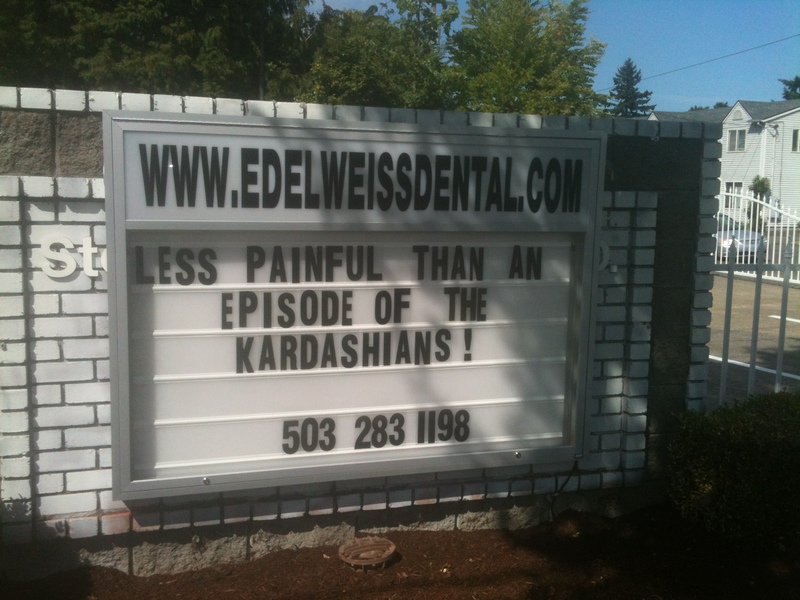 And pain associated with the television show “Keeping Up With the Kardashians” is the operative word. When you watch it you wonder what you’re watching and how it could possibly be on TV. Then you have to consider why you can’t stop watching it. It’s like channel surfing in a cable television tsunami. This sign is outside a new dental office on North Lombard Street. With multiple dental offices up and down Lombard, I consider North Portland, with great pride, to be the dental capital of the whole city.